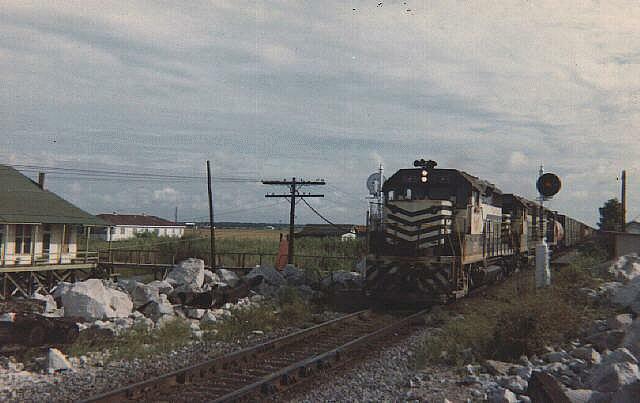 Southbound Gulf Mobile & Ohio freight operating on the Southern at North Shore, Louisiana in September, 1967. GM&O had trackage rights over the Southern from Slidell (a few miles north of this location) into New Orleans. 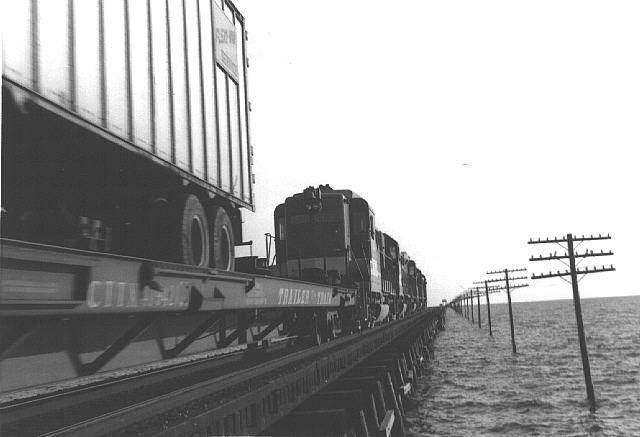 This shot is taken as the train is on the approach to the trestle over the east end of Lake Ponchartrain. Note the AAR Type B trucks under the GP-35's. This picture, taken in August, 1965 is of a Southern hotshot heading out across Lake Ponchartrain. The location is the same as above but facing south instead of north and from on the opposite side of the tracks. This has always been one of my favorites with the perspective of the trestle, train and pole line converging on the draw bridge out in the lake. Photo by Chuck Graham. Just a few miles north of Lake Ponchartrain is Slidell, the only stop in Louisiana north of New Orleans for Southern Railway passenger trains. Here is Train No. 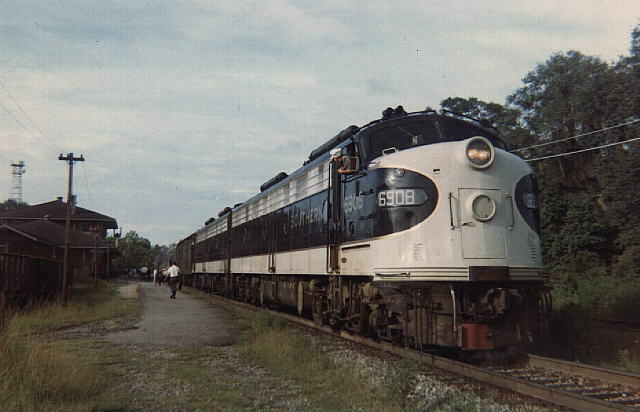 48, the northbound Southerner stopped in Slidell on a September, 1967 morning. 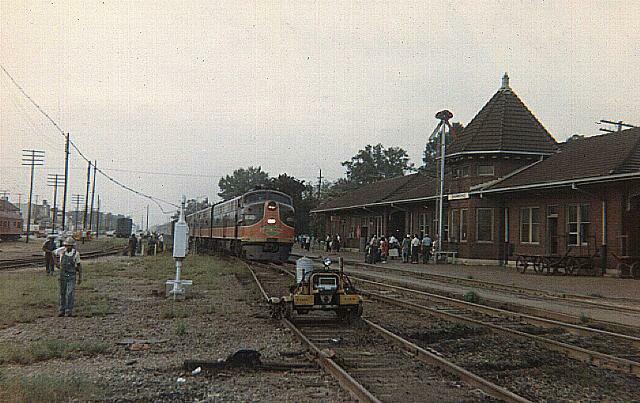 This train became the Southern Crescent in 1971, as was one of the few intercity passenger trains not operated by Amtrak. Of course those days are gone, and Amtrak's Crescent now stops at Slidell. 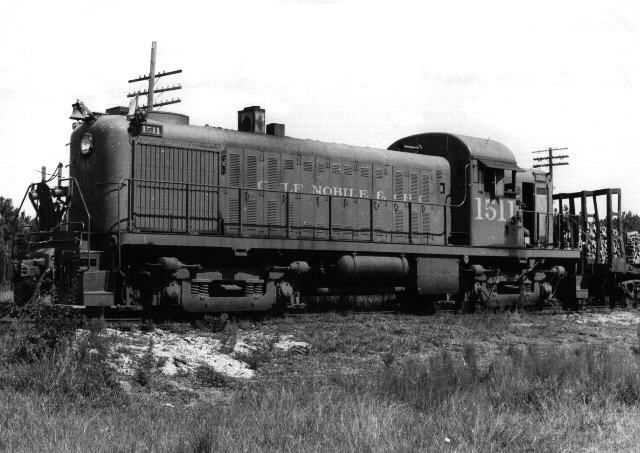 North of Slidell, at Florenville, in the pine forests of St. Tammany Parish (county) a GM&O RS-2 switches a pulpwood siding in August of 1965. No doubt, these carloads of logs are destined for the Crown Zellerback kraft plant at Bogalusa to the north. Photo by Chuck Graham. Illinois Central's northbound City of New Orleans arriving in Hammond. It's a busy scene on that September, 1967 morning with lots of passengers on the platform and a maintenance of way gang in the siding. Four passenger trains a day in each direction stopped in Hammond, the first stop north of New Orleans. 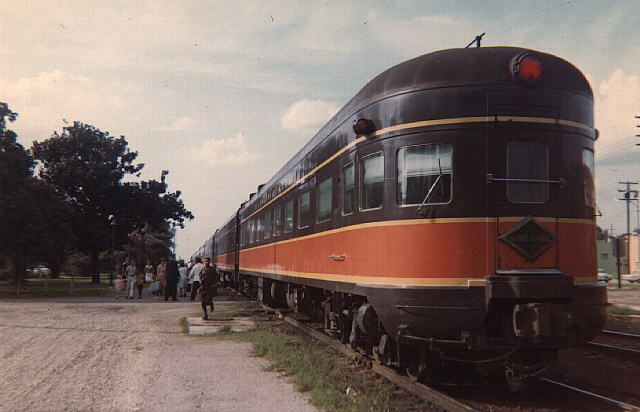 The E-8's on the head end and the passenger cars were always bright and clean and the trains rarely ran late. Panama Limited making its late afternoon stop at Hammond in July, 1967. This all Pullman streamliner would be in Chicago's Central Station by 9:00 AM the next morning having traveled the 921 miles from New Orleans in 16.5 hours. All Photos Copyright 1997, 2000.